Apple has been holding on to a very important location systems patent for the past few years but due to time frame issues they wanted to hold out until it was reissued. Well, today Apple officially received the reissued patent which extends the rights of their 1999 patent obtained from Xerox. 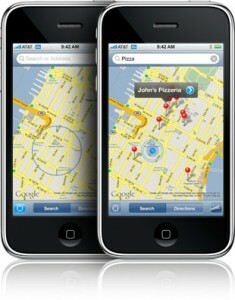 The patent itself is incredibly powerful and will help Apple take control of mobile mapping and location data. Despite being from 1999, the patent is all about receiving and transferring information such as maps and local locations through the internet which is exactly how all smartphones operate their location based system. Nobody is quite sure what Apple is planning to do with this patent but it may be possible for Apple to shutdown dozens of other location services, like Google Maps, for violating the patent that Apple is currently in control of.